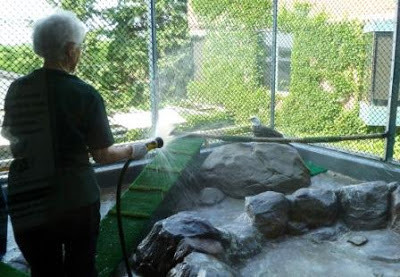 Even on holiday weeks, our volunteers come in to do important work like making sure our education raptors have clean water and a chance to get a refreshing shower! 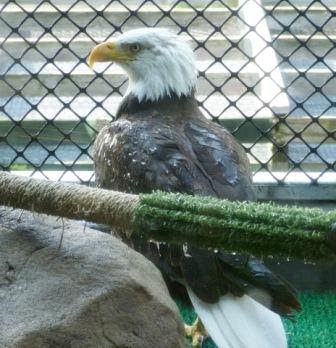 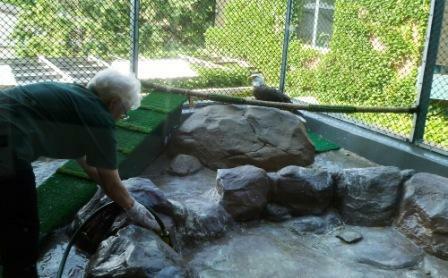 Leuc the bald eagle enjoyed the shower that volunteer Sylvia K. provided. She works with Leuc each Friday morning, making sure he is comfortable as she cleans his exhibit mews and fills his "pool" with clean water. 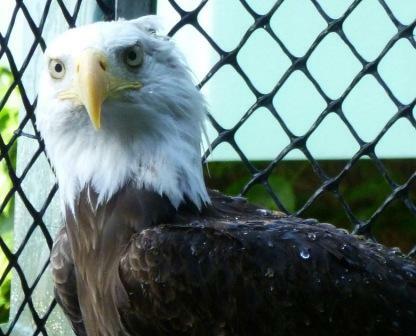 Leuc was hatched in 1980; he has been at TRC since 1983, helping us educate the public and providing an opportunity to see bald eagles up close.